Enjoy an evening of entertainment when Gerry McCambridge—star of The Mentalist and the reality show Phenomenon takes the stage. Known for his comedy, magic and mind-reading skills, he’s sure to excite and amaze audiences during this Planet Hollywood Resort and Casino performance. It’s a night of interactive entertainment with choice of VIP seating or general admission. A unique blend of comedy, magic and mind-reading live on stage! Price displayed is inclusive of all taxes and fees! Gerry McCambridge is famous for his incredible mind-reading skills, jaw-dropping magic and hilarious comedy. 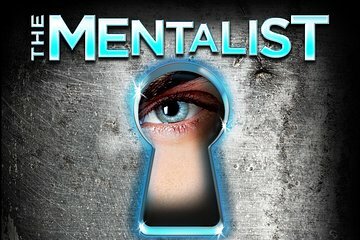 During the performance of The Mentalist at Planet Hollywood Hotel and Casino, you’ll have the chance to see just why! He’s been called the world’s best entertainer and nominated for “Best Magician in Las Vegas.” With this night of on-stage fun you’ll wonder just how he does it! Enjoy active audience participation, as Gerry pulls random information from audience member’s minds. Whether it’s their hometown name, biggest hopes or darkest fears, this show will have you truly amazed and entertained! This is your chance to be a part of one of the city’s most thrilling shows—and maybe even have your mind read! No clue how he did any of it! He was amazing, funny, and entertaining, always leaving you wondering, How did he do that! We enjoyed the show very much and it was a great price! Very enjoyable. Lots of crowd interaction. Of course I couldn't figure out how he does it, even when he told us. Great show, do not know how he does it, a must see. This is an act that has become quite dated and I did feel that he was more interested in the younger females in the audience to talk to rather than any age. It was quite a short show and he did keep mentioning his book for sale. Was a very enjoyable evening with the Mentalist! Would recommend him to anyone!